It appears to be complete but there is still some machinery on site. 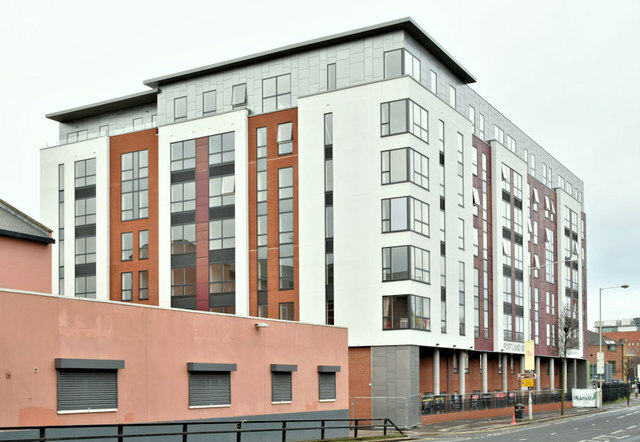 A vacant site to which the following planning permission (10 March 2017) applies “LA04/2016/0967/F Proposed erection of an eight storey residential development comprising 88 apartments with car parking, amenity space and associated site works. 55-71 Ormeau Road Belfast BT7 1EB”. The block is to be called “Portland 88”. I have no connection with the development and cannot enter into correspondence.